Pen Argyle High School in Pen Argyl, Northampton County, about 20 minutes north of Allentown. Armed guards greeted students Monday in one Pennsylvania school district. 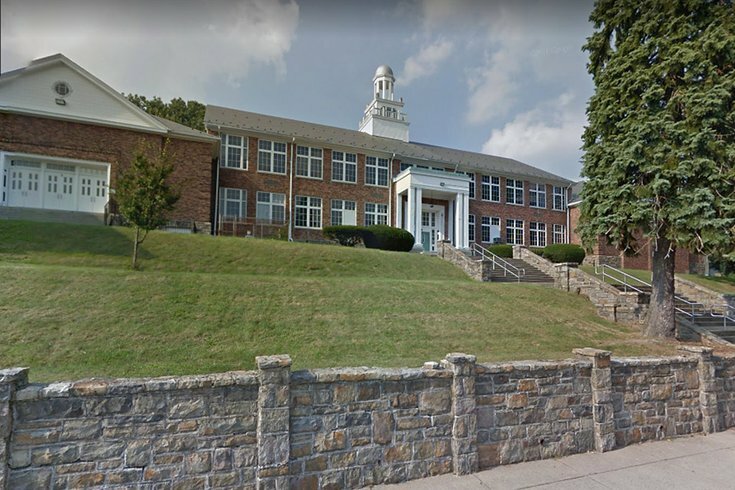 The Pen Argyl School District in Lehigh County told parents in an email on Friday that armed security personnel had been hired for the district’s elementary, middle and high school, the Associated Press reported. RELATED STORY: Teachers respond to gun violence: Don't arm us! The email, sent by Dr. William Haberl, district superintendent, said the officers starting Monday were with Camelot Security, a private California-based firm it has used for school events such as dances and athletic games. The officers include high-level law enforcement and surveillance specialists. In the letter, the district's action was prompted by the “sad and painful reality” of shootings in schools, Haberl. He has not responded to requests seeking comment. On Feb. 23, authorities investigated a report from the high school of a student who allegedly had made threats while inside the school, according to the Slate Belt Regional Police Department. According to police, students who were interviewed told officers they had overheard a 16-year-old student make threats to “shoot up the school” and claimed he had a “kill list.” Police learned the student was placed on suspension by the district. Police brought the student into headquarters where he was interviewed, taken into custody and lodged at the Youth Detention Center. Police later served a search warrant at the student's home and found no weapons, writings or “kill list.” The student appeared to make no attempt to harm any students/staff and made no substantial attempt to acquire weapons, officials said. Since the Feb. 14 school shooting in Parkland, Florida, officers have had a more visible presence near the schools and increased foot patrols inside their buildings, police said.